Ryuuko is turning violet. What's happening to her?? 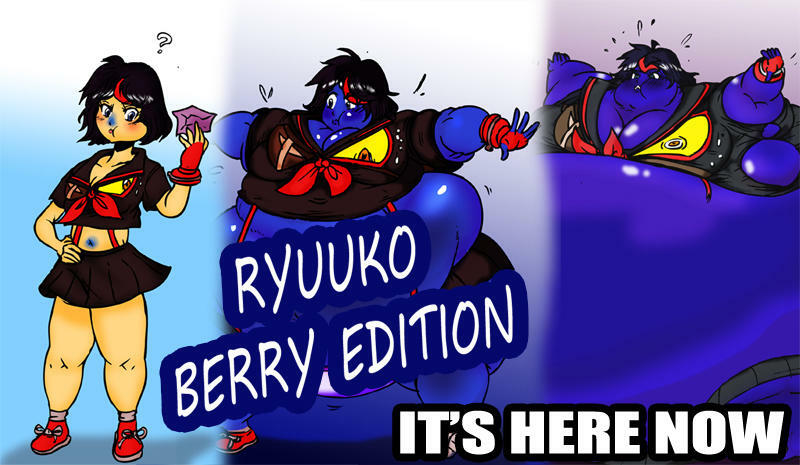 A six part sequence showing Ryuuko Matoi (Kill la Kill) blowing up into a blueberry. There are two bonus images of Ragyo, Satsuki, and Ryuuko inflated (and recolored as berries).